We will be bringing you our blogs every now and again with the latest news from the Printing & Packaging industry, what’s going on here at HQ in Sussex, & anything else we think you may be interested in from time to time! So, what has Wisden Packaging been up to this year so far I hear you ask? 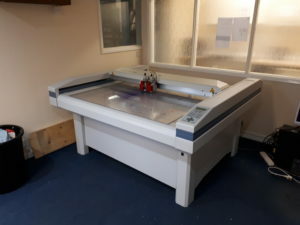 Well, we’ve been super busy thankfully, but our latest investment has been the purchase of a new sample making table for the CAD Department. 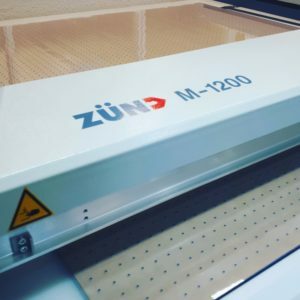 Step forward the ZUND M1200. At over double the size, & speed, of our old machine it meant some restructuring at HQ to accommodate it. So we’ve moved the Design Department into a brand new office on the ground floor, and in January 2018 our new machine arrived ready to be installed. 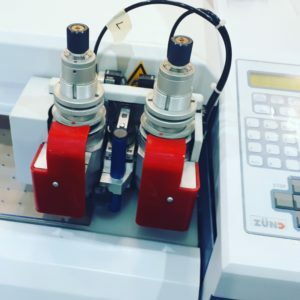 After a lot of work by the excellent ZUND engineer, we had a fantastic new machine set up in position, ready to go. Aided by our new table, our talented Design Department is ready to help you. We can quickly create innovate powerful concepts for your projects. We work with you to create exceptional, distinctive, carton packaging. Full printed carton packaging samples are available. Mini trial runs of prototypes can be provided. Just get in touch via our website, or call our sales team on 01273 579950.